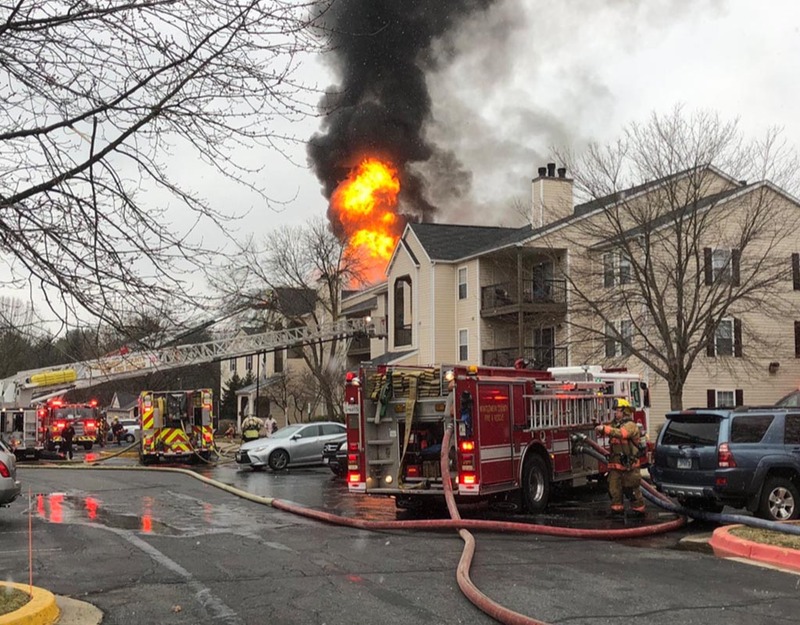 According to Pete Piringer, the chief spokesperson for Montgomery County Fire & Rescue Services, 24 apartment units at the Saybrooke Apartment building on Sunny Brook Terrace in Gaithersburg were affected by a fire Friday. The initial 911 call came at 1:30 p.m. from a passerby in the “area of mid-county highway and Woodfield Road,” said Piringer. According to Piringer, as of Friday afternoon, no firefighter has been injured, and none of the injuries residents have to look life-threatening. However, Piringer said that many of the families living at the Saybrooke Apartment building will be displaced. “Pretty significant loss as far as damage,” said Piringer. Piringer said that Red Cross was called to the scene of the incident and that the Gaithersburg fire marshall was also at the scene. Piringer tweeted, “numerous families will be displaced” — there’s still no definitive number. Three civilians were transported to the hospital for minor injuries, according to Piringer. Firefighters also assisted pets from the building. 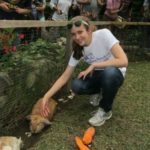 It’s unclear if any pets were injured. There’s $800,000 worth of damage to the apartment building. The fire originated on the second-floor balcony of the apartment building. Piringer tweeted that “improperly discarded smoking materials” caused the fire. This story was updated at 9 p.m. on Friday, March 8. It is still developing. Pete Piringer posted pictures and videos at the scene of the fire on his Twitter. Take a look at the media below.